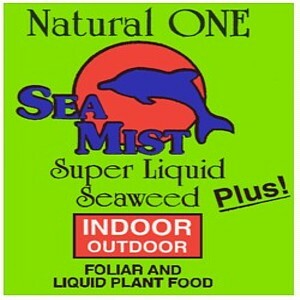 Is the most powerful, most effective, full spectrum liquid seaweed product available anywhere. A triple strength formula that utilizes several seaweed varieties and other potent attributes to create an overwhelming synergistic effect suitable for all growing applications. Garlic * and MANY OTHER BENEFICIAL INGREDIENTS! Apply by foliar feeding or soil drench at the rate of one gallon per 1/2 acre.